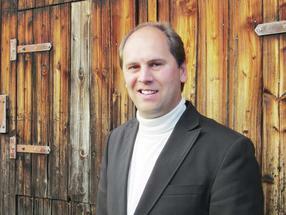 Thomas Letzel, born 1970, studied chemistry (1992–1998) at the TU Muenchen and the LMU Muenchen. He acquired his doctorate in 2001 with an environmental-analytical subject at the TU Muenchen, followed by a two years' postdoc stay at the Vrijen Universiteit Amsterdam. He qualified as a professor at the TU Muenchen in 2009 and has since been teaching there as a senior lecturer. He is the manager of the Analytical Research Group at the Chair of Urban Water Systems Engineering and is the project officer of TUM in the BMBF project RISK-IDENT in this function. He has previously developed new analytical platforms and strategies for detection, identification and determination of functional properties of organic molecules from complex mixtures in different natural-sciences disciplines. The results are mirrored in his more than 60 scientific publications and two books.